In part one of "Celebrating Earth Day" I discouraged buying more "stuff" today. But, if you are going to buy something, go with a book. Take this opportunity to educate yourself and your family about the beauty and wonder of the world we live in. It's really quite extraordinary if you stop and take notice. Lately, I have been focused on finding out what topics interest my children. I hope to gently guide them toward learning more about subjects that appeal to them. While my son sometimes finds it difficult to stay focused in school, he certainly has no trouble focusing when he finds a topic he's curious about. 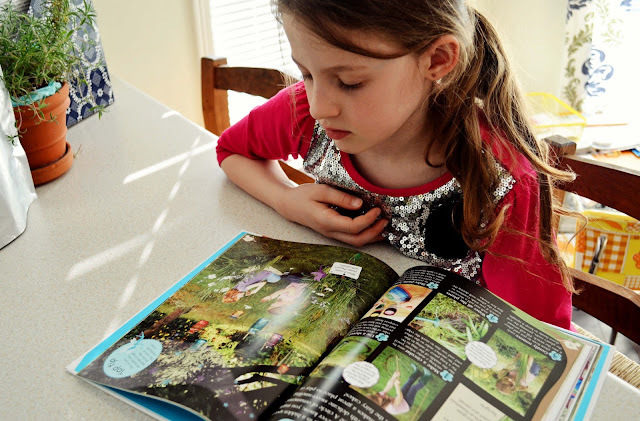 So, my two kids and I recently selected books from DK Canada's "Earthly Pleasures" boutique. Until April 25th, all of the books in the boutique are 30% off. The boutique has some fascinating titles on everything from gardening to sharks to bugs to organic living. 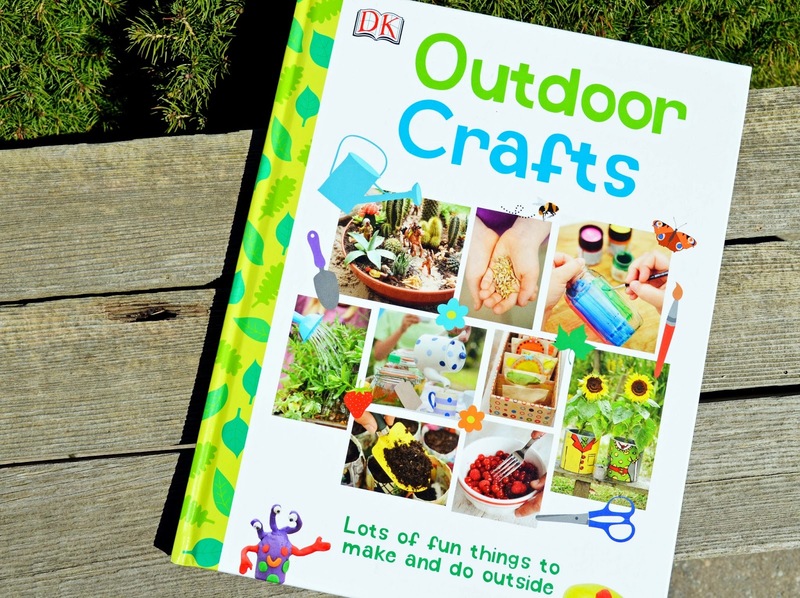 My daughter chose "Outdoor Crafts," a book of "lots of fun things to make and do outside." 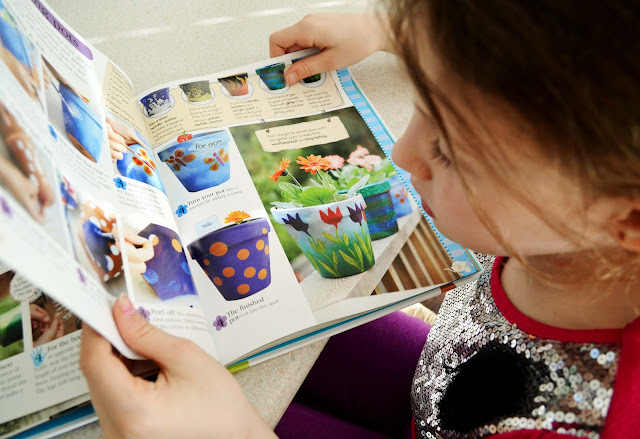 I love this choice, because it gives us some great ideas for crafts to do over the summer, hopefully outside in good weather. 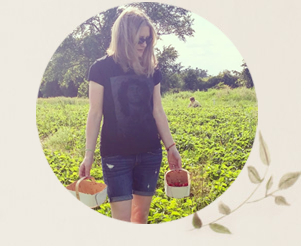 The craft ideas incorporate natural materials that children can find in their own backyard or that they have grown themselves in a garden or pot. The book is divided into three sections - Make It, Cook It and Create It. Make It shows how to make fun labels, painted pots and markers to use in the garden. Cook It has recipes for things like herbal sun tea, pepper hummus and carrot chips. My girl and I agreed that the first thing we want to make is lemonade ice pops. Can you tell we are eager for warm weather? The final section, Create It, involves transforming plants into projects. One cool idea is to create a "secret fairy ring" in the yard using ornamental grasses. My dad is turning 86 years old this month and he is near-impossible to buy for. How many crossword puzzles and Canadian Tire gift cards can you give? With him in mind, I ordered "Birds of Eastern Canada." My parents have an expansive lawn with a lovely view of Lake Erie. They get lots of visits from hummingbirds and all sorts of other little beauties. 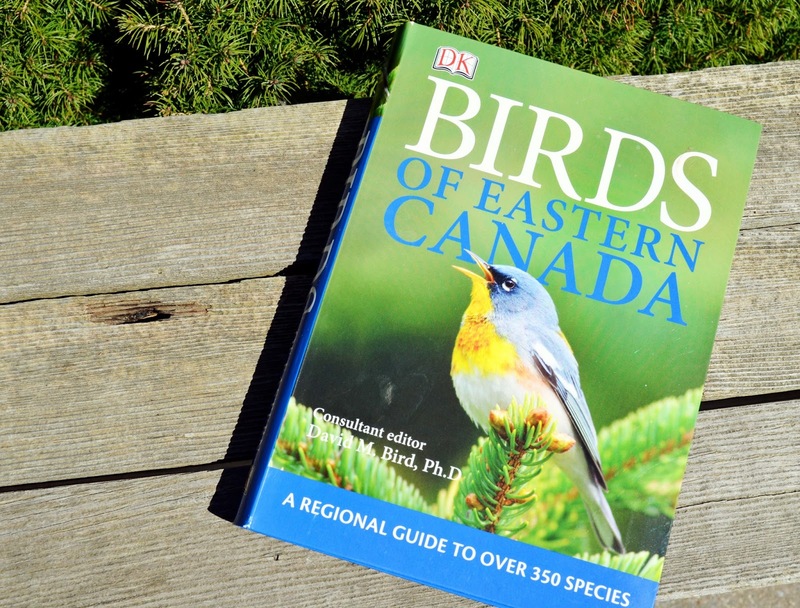 This guide is regional, so Dad will be more likely to find some recognizable birds in the book. I have seen wild turkeys not too far from home and I've also seen turkey vultures at my parents' house. The book notes that the wild turkey was eliminated from most of its original range by the early 1900's due to over-hunting and habitat destruction. Subsequent habitat restoration and reintroduction has been successful. 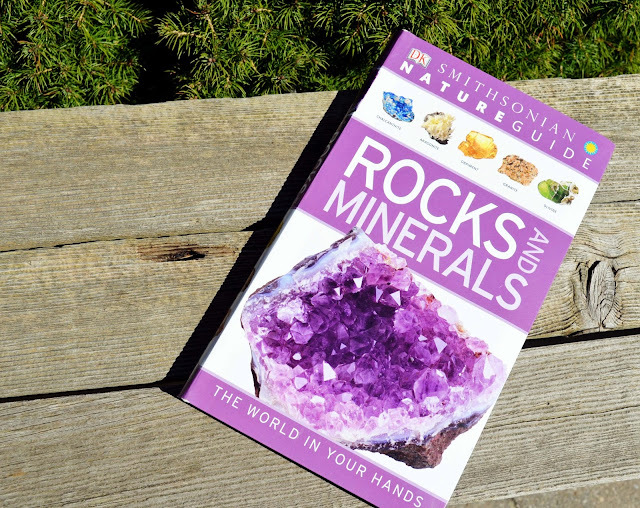 My son has long been fascinated by rocks and minerals, so he selected the "Smithsonian Nature Guide: Rocks and Minerals." He was pretty excited when the book arrived. He even popped it into his backpack the next day to read on the school bus. Warms a mother's heart. The book is full of stunning images of everything from blue schist to blue granite, malachite to meteorites and taconite to travertine. Not that I know what any of that means. But I think I will soon find out! Head over to DK's website and find out more about a topic that interests you. I don't think I've ever seen a DK book that I didn't like!! Great choices! Great books! 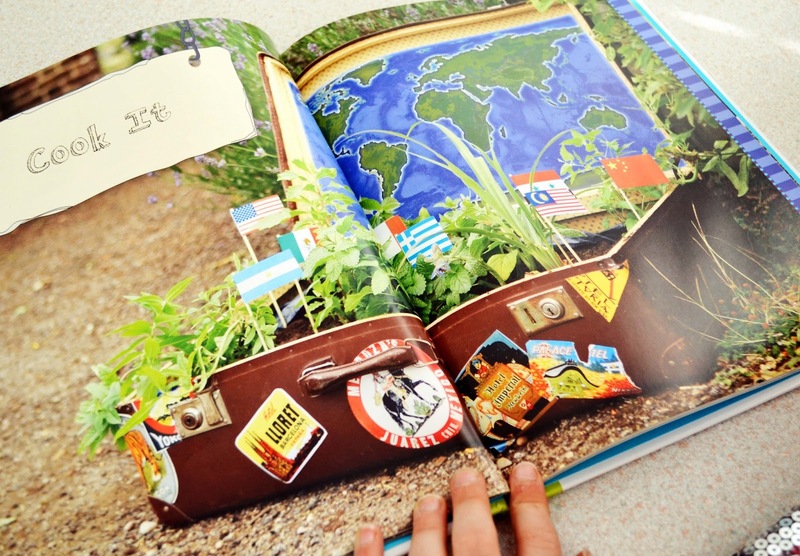 I always love DK top 10 travel books. Have you seen them? I've used them all over Europe and Asia, and they are my favorites. This looks like a fun book. We celebrated by spending the day outside visiting a nearby farm, walking through the woods. It was a fun (chilly) earth day! What a great assortment! 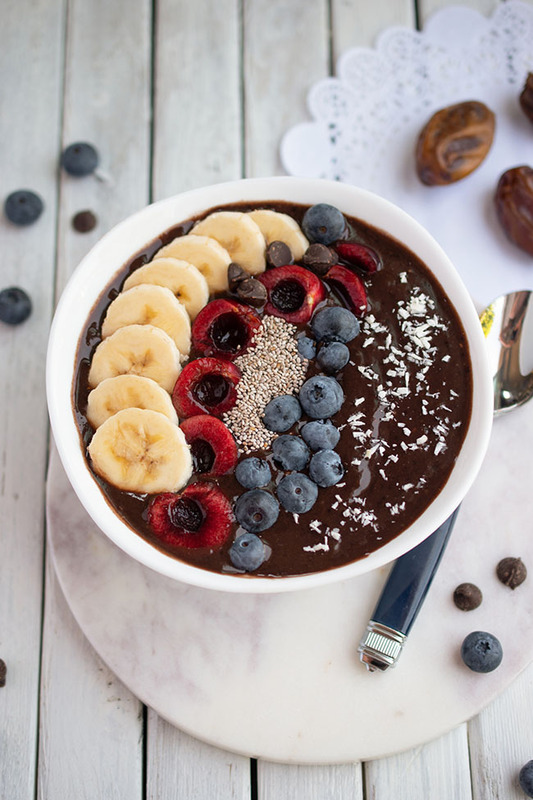 Great idea for earth day too-- & finally getting around to telling you that I love the new blog look too! !